Saturday events kick off with a 5k Walk/Run. Registration will be 6:45-7:15am at the Boondocker parking lot, with the run commencing at 7:30am. More Details and sign up forms coming soon. The Dog Show as a long standing tradition continues! Please bring your dogs, short or tall, big or small, young or old because it’s sure to be a Bark of a time! The dog show will be on Saturday, at 2pm at the shady area behind the ball field home plate under the shade tree. The 2019 Queen Court will be judging on Best Costume, Best Personality, and Best Trick. Your dogs can enter in one or all events! We would also like to thank Michelle Shulte with the New Haven Veterinary Clinic for sponsoring the Dog Show! We look forward to seeing everyone and their four legged friends! Children ages 5 to 18 need to gather their home economic goods to enter into the exhibit on Saturday, July 8th in the American Legion. 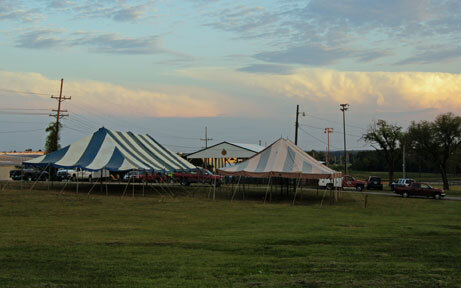 Home Economic Exhibits and Farm Mechanics will be accepted at the Legion building from 8 to 10am. The tags and forms can also be filled out on Saturday, at the time exhibits are being accepted. All livestock must be on grounds Saturday by 8am. 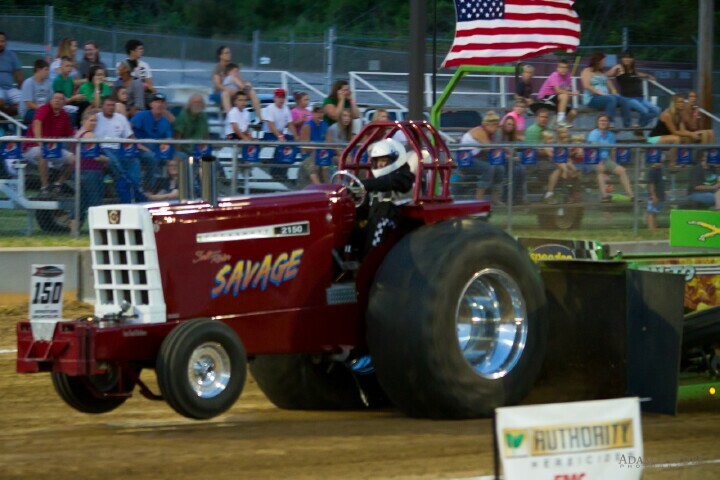 The Pedal Tractor Pull takes place at noon under the upper main event tent. The pull is open to children ages 3 to 10. It is a state sanctioned pull for ages 4-10 only to qualify for the state pull in August. Sign up will begin at 11am under the big tent to the west of the Upper Food Stand. Thank you to Leroy Strubberg and Associates for sponsoring the Pedal Tractor Pull and to Dennis Segelhorst and family for providing the tractors and sleds and for making the pull sanctioned! 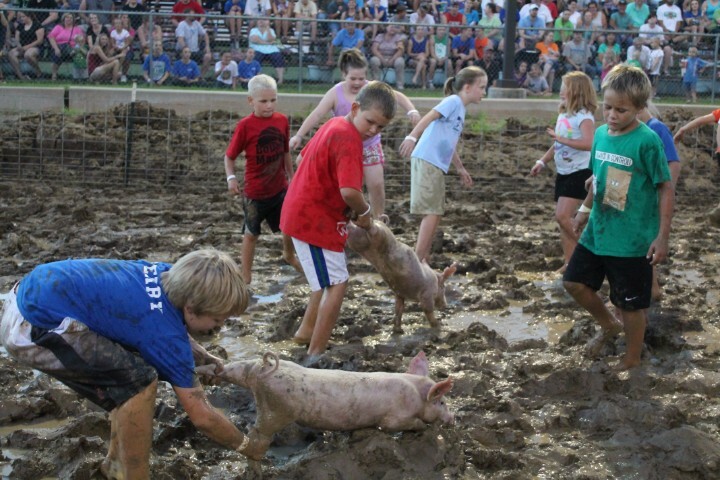 The Pig Scramble is an event when children and adults chase after greased pigs in a round pen. Participants are encouraged to wear shoes. There is no cap on the number of participants per age group, and pre-registration is required!! If there are more than 25 participants per age group the participants will be split into two separate groups. Forms are to be postmarked by Friday, June 28th, to New Haven Community Youth Fair Attn: Pig Scramble at PO Box 131 New Haven, MO 63068. The divisions are boys and girls combined including 3 years and under, 4-11 year old have a division for each age year, 12-14, 15-17, and 18 and over. The Town and Country Women’s Club will be holding their annual queen contest Friday. Young ladies ages 16 to 19 are able to compete for scholarship money for college. Activities prior to the event are scheduled for those who are participating. The interview, talent competition, and question portions take place on stage on Friday.